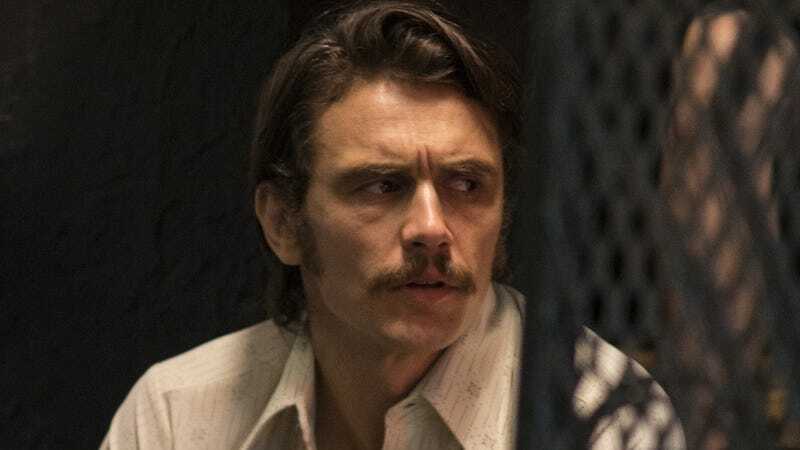 The allegations of sexual misconduct that got James Franco expunged from Vanity Fair’s annual Hollywood issue and disinvited from a New York Times speaking gig don’t seem to have affected his working relationship with HBO: Franco will return to The Deuce for its second season, as writer Megan Abbott told reporters at this weekend’s WGA Awards ceremony. Franco directed two episodes of the critically acclaimed, David Simon-produced drama’s first season (episode three, “The Principle Is All” and episode seven, “Au Reservoir,” which Abbott wrote), and co-stars in a dual role as twin brothers Vincent and Frankie Martino, co-proprietors of a pair of Mob fronts in 1970s Times Square. Scarlett Johansson addresses James Franco at Women&apos;s March: "I want my pin back"